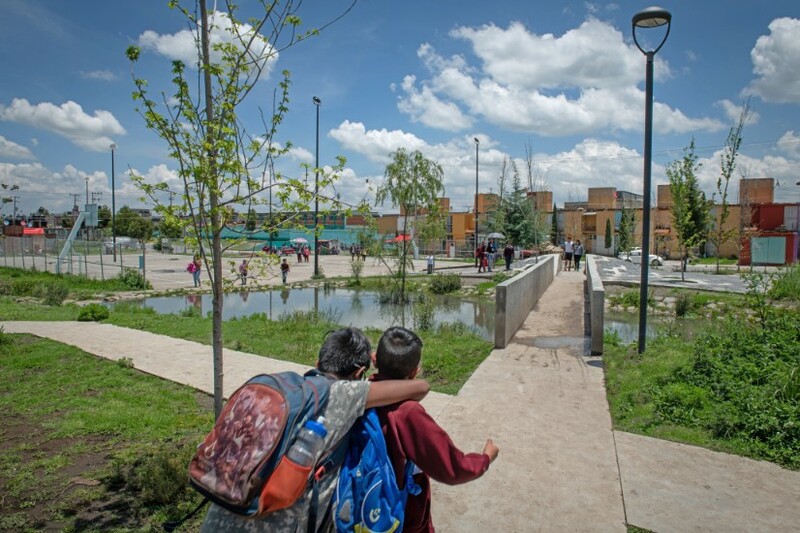 Parque Colinas del Sol, Francisco Pardo, 2017, Unidad Habitacional Los Héroes II, Toluca de Lerdo, Mexico. © Jaime Navarro. ‘Dwell in possibility’, the next issue of Urbanista.org will go live in April 2019. ‘Dwell in possibility’ is a phrase taken from an Emily Dickinson poem, and the issue similarly interprets the verb ‘to dwell’ in a wide sense, focusing on pressing issues, and analysing self-managing capacities for and innovation in mixed tenure housing, investigating emerging strategies for collective self-organised and other mixed tenure housing solutions in the UK and across Europe, which were the subject of Future Homes for London, a conference staged at the Royal College of Art in 2018. Central to these themes are the participatory imperatives – a growing feature of 21st century European urbanism. The issue investigates the state of social housing in the UK and liveable urbanism more widely, through interviews with Karakusevic Carson Architects‘ mixed use and tenure housing design in London; Mexico City-based Francisco Pardo; and participatory design specialist, architect Alexander Eriksson Furunes, whose work straddles Norway, India and the Philippines.